James Mangold’s Logan places Hugh Jackman’s Logan aka Wolverine in a bleak future where he is growing older, his powers are failing him and pretty much all hope has been lost. This changes when a mysterious young girl with ties to his past comes into his life. Hugh Jackman’s Wolverine is the first name many people think of when it comes to perfect comic book character casting. Robert Downey Jr’s Tony Stark is a close second but Jackman was there first delivering a version of Wolverine that people could really get behind and his devotion to the character is well documented. Logan serves as a swansong for Hugh Jackman in this role -at least for now- and celebrates the legacy that he helped to build in the years he has spent bringing this character to life. There’s more to it than that but broadly speaking this film is entirely about Logan and delivers something that does the character and his legacy proud. Interestingly this film serves as something of a deconstruction of the superhero genre. It doesn’t really exist within any of the myriad X-Men timelines we’ve seen on screen before this point but loosely connects itself to the earlier films featuring the character by virtue of both Logan and Patrick Stewart’s Charles Xavier being there and talking about past events that could vaguely be connected to earlier films. Essentially this story is a one off that exists to serve only itself and it’s all the better for it. Using this elseworlds -actually a DC name but it fits) excuse to tell a story allows for greater freedom in the storytelling because it isn’t setting up any future films or forcing itself to connect to existing continuity. Don’t get me wrong I’m not suddenly speaking out against cinematic universes because I still think those are a great idea if handled properly but I can also appreciate that there is room for a film like this to exist that relies on the audience to be willing to just go with what is presented to them without worrying about continuity. Logan is an old man in this film and he’s very tired of the endless struggle that life brings him. Hugh Jackman plays the character with a weariness that never goes away as the film progresses. In essence he lives on because he doesn’t know how to die and there’s tragedy to that. We’ve probably all seen some variation of the immortal who’s tired of living and that’s essentially what Logan is dealing with here though his rapidly declining physical condition does suggest that he is approaching the end of his long life. As the film begins he’s trying to scrape together enough money to buy a boat and live the rest of his life on the ocean away from the problems that other people bring him. He has also tasked himself with taking care of an ailing Charles Xavier who is quickly losing his mind causing his powers to become harmful to those around him. Seeing Hugh Jackman and Patrick Stewart play off one another is always incredible to watch and the shift in both of their characters provides a vastly different perspective on their relationship than we have ever seen. In this film Xavier is the one who is lost and needs Logan’s guidance but there are still hints of lucidity that remind us of the wise refined man he used to be. These performances are excellent and it’s great to see Patrick Stewart embody this character one more time. Newcomer Laura (Dafne Keen) is interestingly handled. Fans of the comics will know her as X-23 which will please a lot of people who have wanted to see this character introduced. I’m personally not hugely familiar with the origins of this character but have read plenty of comics featuring her. In the context of this film none of that matters as everything the viewer needs to know about her is explained. She is the literal representation of Logan’s legacy and the hope for the future that is missing from this world early on in the story. She’s a good character and Dafne Keen does a capable job playing her. Recognition is definitely deserved for not speaking a word for a large part of the film but still clearly conveying Laura’s emotions. Laura’s relationship with Logan isn’t quite as fleshed out as it could be but her main role is to represent links to the past that he has tried to forget so it makes sense that he would be reluctant to embrace her at first. Their interactions naturally shift from having emotional depth to comedic in nature depending on the situation and what is built pays off in a way that won’t disappoint. Stephen Merchant is a really pleasant surprise as Caliban. He does a really good job in a more serious role and fits into the crumbling mutant community really well. As with Logan and Xavier there’s a sense of tragedy and weariness to him that comes through well. It’s certainly a much better version of the character than we saw in X-Men: Apocalypse. The villains in this film mostly exist to have Logan and Laura stick their claws into them. Boyd Holbrook does a lot with a little as the charismatic yet thin Pierce but there are no other villains with any level of development to them. This is a story about Logan so the villains don’t need to be any deeper than simply being after him because he’s in the way of their pursuit of Laura. It’s simple and neat until the larger conspiracy driven side of it kicks in. It’s nothing too damning but feels slightly expositional when it happens. 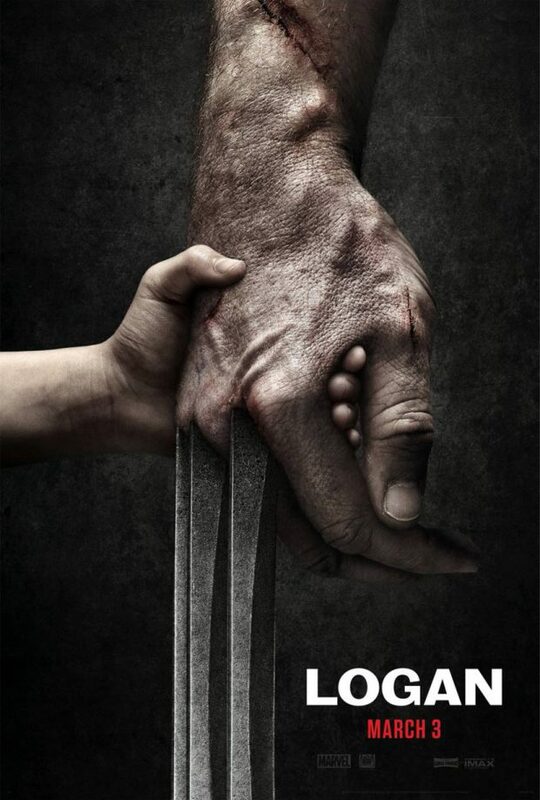 This is an incredibly violent film that delivers the Wolverine that many of us have been waiting to see. He curses, hacks away at people, dismembers them and any manner of other horrible things. If you’ve been waiting to see Wolverine as violent as he can get then this is the film for you. The action is really well edited with a minimum of shaky cam and never stops being exciting while remaining coherent. Action scenes involving Laura are equally visceral so don’t think that a young girl being involved makes this any tamer. An excellent film that is a fitting swansong for both Hugh Jackman and Patrick Stewart in their iconic roles. The story is disconnected from the other X-Men films which is definitely the right call in this instance as it allows greater narrative freedom. The story is simple enough while also remaining focused on the character of Logan. Hugh Jackman’s performance is excellent as a weary Logan tired of living and Patrick Stewart is predictably magnificent as a very different Charles Xavier. Newcomer Dafne Keen does a great job playing Laura especially since most of her emoting is done without speaking. Her interactions with Hugh Jackman work well and her purpose in the film is clear. The villains only really exist to give Logan something to stick his claws into and for that they are fine. Boyd Holbrook does a lot with a little but the rest of the villains are really thin. It isn’t damning other than some slightly expositional moments as the story progresses. 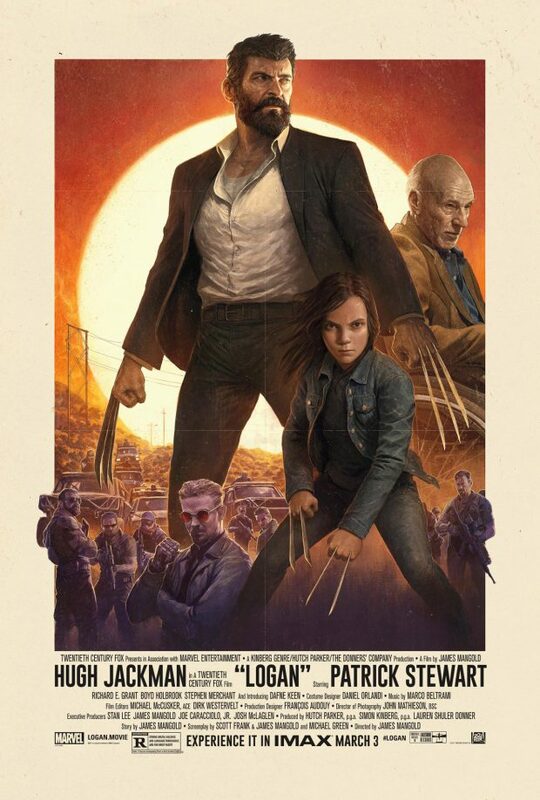 This film is the most violent Wolverine experience that we’ve had and it will definitely satisfy those who feel that this hasn’t been delivered in earlier entries. The action is well edited and always coherent. If this is the last we see of Hugh Jackman in this role then you’d be hard pressed to find a better curtain call. We should all thank him for his service to such a great character.